If you’re familiar with design trends or the Davinci Code, you’ll likely know that an ambigram is a word, picture or design that can be read rightside up or upside-down. If you’ve seen one of these very cool designs lately, you’ll also understand my ecstatic early anticipation at designing one for Reflect. Long before the contract was signed I had pages of logos that could be read upside-down or in mirrors. I was building (in my mind) for an award-winning logo that would print in LogoLounge 7. Branding is about being yourself. But there comes a time when people who brand look beyond the trends of shape and color to the deeper, more powerful story of a logo identity. In walking with John through a number of questions and exercises, it became clear that Reflect didn’t need a trendy, cool looking logo of mirrored elements or inverted letters—despite the obvious visual opportunity. Distilled to the basic elements, their mission and experience was best summed up in the most simple of elements: hand and heart. In double-checking our progress against the intended audience for the Reflect brand, there was some concern that the blandness of this logo wouldn’t appeal to the largely college-age demographic that comprised most of the volunteer base. In pushing further we realized what the volunteers had always known: that Reflect wasn’t experienced as an edgy and culturally forward brand. It was accessed with the heart and it was experienced with the hands. College-age youth gave of time and treasure because they were moved by the needs of young children living off the refuse of the Tijuana dumps. Certainly, there were other reasons that convinced us an edgy logo wasn’t necessary. While I saw my dreams of getting in print go up in daydream ashes, I grew more and more convinced that we were doing the right thing in keeping the simple. We focused the viewer on the brand message using key elements—without distracting lines or textures. Months later, I received this email from John who wrote to me from an airport in Russia. He was overwhelmed at the response of a school of seminary students who knew him by nothing but his logo. Helping businesses define and describe their uniqueness is exactly what I love doing most, so stories like John’s are what keep that passion alive! 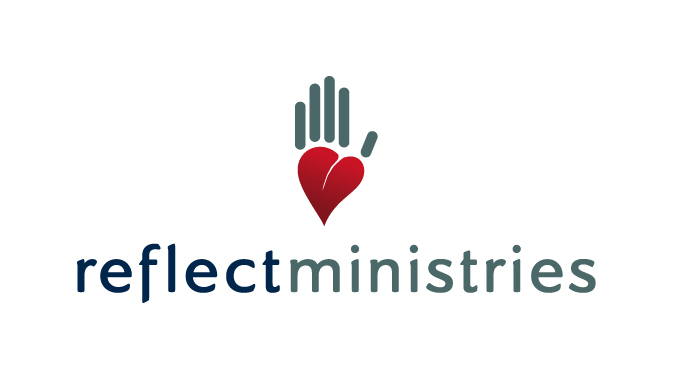 When we set out to make a brand and logo for Reflect Ministries you taught us that the logo should be able to communicate our brand even with out words. We wanted to communicate love, authenticity, compassion, service, relationship and much more. With the work we do feeding children in Mexico the logo we came up with fit us. Honestly though, I figured we would always have to explain it somewhat. This week I was invited to be a guest lecturer at a seminary in Russia. On the first day of class, as an exercise intended to teach about not judging, I had intended to have the students come up and introduce me to their peers without knowing anything about me. Since I have a “rascally” look this is usually fun. My plan was to then surprise the class with a slideshow of who I really am. When the students (who knew nothing about me) came up to describe me I was taken aback. The students described me as loving, kind, gentle… one introduced me as “working to help children,” and another said “cares about people.” My jaw dropped and my “learn not to judge people” lesson went out the window. It turns out the first slide, and thus the pause screen, was our logo showing behind me. On their own and having nothing to go on but the logo, that was their impression. What a wonderful thing. On the other side of the world, across cultures, languages and international borders with nothing but our logo; we were known.